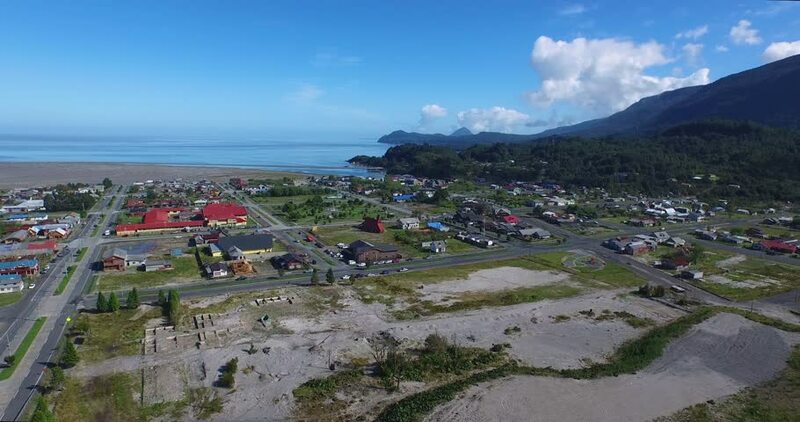 aerial view of the city of Chaiten seven years after the eruption of the volcano of the same name. Is observed as the river Blanco divided to the city in two product of the lahar of the volcano. 4k00:16A perfect neighbourhood. Houses in suburb at Summer in the north America. Luxury houses with nice landscape. Aerial drone view. 4K. 4k00:10Rural China. Aerial photography. Back off.